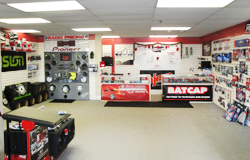 B & R Auto Accessories opened in 2002 as a small shop focusing on a few car audio services. 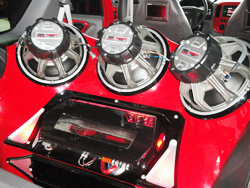 Since then, we’ve expanded to become one of the most popular businesses in North Tonawanda, NY & the Western New York area to provide car audio and video installation, car accessories, custom fabrication and so much more. From installing car starters to providing radio installation, we can make your car the best on the road. Stop by today to see what we can do for you! You deserve the best brands and accessories for your vehicle, and that’s what we give you here at B & R Auto Accessories in North Tonawanda, NY. We stock brands such as Auto Ventshade, VOYO Vision, Fusion and so many more. We’re an authorized retailer for all of those brands, so you know you can depend on us whether you want to trick out your car with audio and lighting upgrades or you want new rear-view cameras. Whatever you’re looking for, we encourage you to visit us to browse our extensive selection. One of our staff members would love to help you find what you’re looking for! 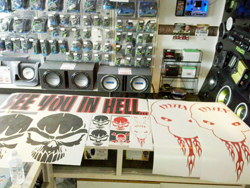 Transform Your Car With Vehicle Wraps, Window Tints, and More! Stop by today to view our selection of vehicle wraps, window tints, and more. Enlist our efficient staff for installation! We look forward to upgrading your vehicle.